For many people, their pets are more than just animals - they are family. So when a beloved pet dies, many owners choose to bury their pets in a casket, as opposed to an unprotected burial or cremation. Caskets come in a variety of materials and can be purchased either unadorned or with plush inner linings and ornate hardware. While you are not likely to find caskets on sale per se, you can find inexpensive caskets for any type that you'd prefer. Caskets are priced according to size, so one for a toy poodle will be much less expensive than one for a great Dane, regardless of the type of material and accessories selected; therefore, it's important to measure your pet prior to purchasing a casket, to ensure you select the right size. If you'd like to bury your pet in a traditional casket but are afraid it's not in your budget, don't worry - there is a wide selection of discounted pet caskets for any sized pet. Built from sustainable materials that aren't harvested by heavy machinery, cardboard makes for an eco-friendly casket that is also biodegradable. These caskets leave a small carbon footprint, yet are dignified enough to provide a proper burial. Cardboard caskets average around $45. For the best discount on the cardboard option, consider a double-walled, corrugated cardboard casket suitable for pets up to 40 pounds. 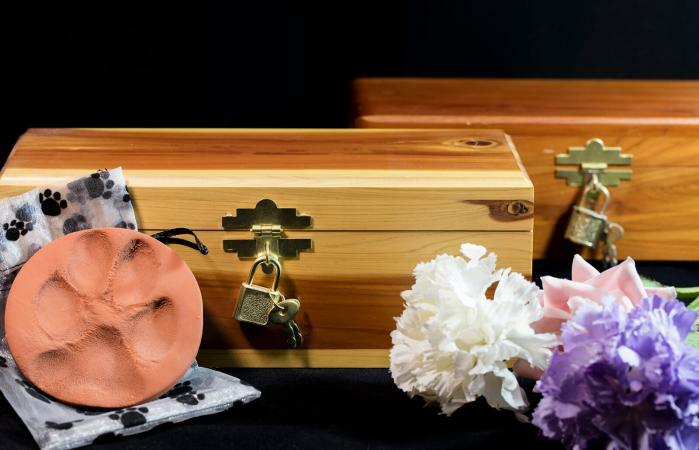 At $28 for a small, $60 for a medium, and $99 for a large-sized casket, the cardboard casket is a simple, affordable option for pet owners wanting a traditional burial. A cardboard casket is your cheapest option for an eco-friendly casket. Amazon sells the Orchid Valley Pet Casket Set that ranges in price from about $20 to $32 depending on the size ordered. It comes with a grave marker and photo frame. These caskets work for pets that are between 30 and 60 centimeters long. High-impact styrene is a durable plastic and one of the more widely available types of pet caskets. The design, coupled with the addition of special sealant that restricts water and air from seeping into the casket, makes them a popular choice. 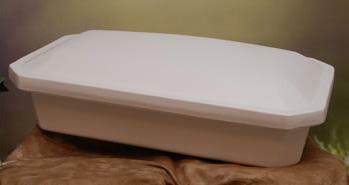 A very plain styrene casket can start at around $50 for a small animal but may average around $300 to $500 if you have a larger animal and line the inside with fleece padding or other embellishments. However, the following are great discount choices. 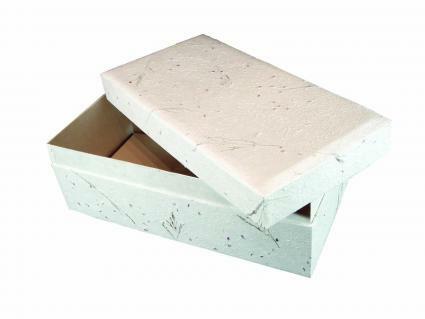 Pets in Remembrance offers an economy line of styrene caskets in small ($69.99), medium ($79.99) and large ($119.99). The caskets are available in black or white and are unlined. 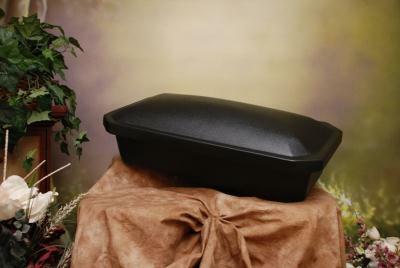 A good option for a discounted styrene casket with a plush interior, Newnaks Pet Caskets offers a standard pet casket in sizes small to large. Available in white or black with the option of pink, blue, silver or gold plush satin mattress, these caskets range in price from $69.99 to $199.99. Treasured Friend Memorials offers a larger range of sizes - from 20" to 52" - in its simple almond casket. Minimally lined with a pillow and pad, the caskets are priced from $119.99 to $389.99. These are a good option for saving money if you have a larger pet. These popular caskets, which include high-impact styrene, are made from plastics that do not deteriorate, which means not only will your pet's remains be protected indefinitely, but no harmful chemicals will be released into the environment. Plastic caskets on average, cost around $300, depending on the size and embellishments you want for your pet. The ones below are significantly cheaper in cost than average. Memorial Urns offers several options for simple, plastic caskets for small, medium and large-sized pets. Caskets can be purchased unlined or with a simple satin interior. Prices range from $99 to $154.95. Available in four sizes, Partridge Enterprises offers a single-walled, almond colored casket in sizes small through extra-large. The caskets, which come unlined and are priced from $145 to $240, have two decorative feathers engraved on the top. From simple pine to the more expensive cherry or maple, wood caskets are an elegant option, and what most people envision when they think of caskets. If you have your heart set on a wooden casket to serve as your pet's final resting place, a pine casket is a beautiful choice that won't break the bank. Wood tends to be a more expensive material, and consequently, a wooden casket will cost more. Prices vary widely based on the type of wood you are selecting, with cherry or mahogany being the most expensive. Handmade in the United States by Amish craftsmen, Pinnacle Systems offers 3/4" thick finished oak wood caskets. The caskets include handles and interior lining. Caskets are available in small, medium and large, with the smallest casket fitting an animal up to 14" long, and the largest casket fitting an animal up to 44". Prices range from $119.00 to $249.00. Memorials offers beautiful small pet caskets in a variety of woods, including rosewood and cherry wood. Pricing starts around $340.00 for these ornate caskets. If your only consideration is cost, purchase something in cardboard and embellish it yourself. Forego the embellishments on the inside of the casket. Many caskets come lined in satin, with a special pet pillow, or lined in another fabric. You can skip the fabric inside to lower your overall cost and add your own special touches. A plain pine casket is by far the cheapest route to go if your heart is set on a wooden casket. To keep costs down, ensure that you are buying the right sized casket for your pet instead of getting something too large. Burying a beloved pet in a casket can offer some comfort during this difficult time. Thankfully there is a wide variety of beautiful and tasteful discount pet caskets to fit any budget and style.